One fateful day, Lucy is invited to study at the prestigious Overworld Academy. The Academy offers her the opportunity to learn all of the secrets of the Overworld--and it’s an opportunity she can’t miss. She’s sad to leave behind her friends Henry and Max, but it’s time for her to have an adventure on her own. At Overworld Academy, she meets two new friends, Jane and Phoebe. Jane is an expert fighter, and Phoebe is a talented alchemist. With Lucy’s own knack for treasure hunting, the trio makes an incredible team. And when the school is attacked by zombies, the three girls are going to have their skills put to the test. Together they prove that they can take on almost anything, but when Lucy overhears the school headmaster conspiring to take over the Overworld, Jane and Phoebe don’t believe her. As a newbie at the academy, Lucy hasn’t gained their trust yet. Her new friends turn against her and she gets kicked out of school. When she goes back home to get help from Henry and Max, she’s shocked at what she finds waiting for her in town. Will Lucy and her friends be able to work together to fight the evil rising in their world? This is the first book in a new three-book series spin-off of the original Unofficial Gamer's Adventure series with its bestselling book, Quest for the Diamond Sword. 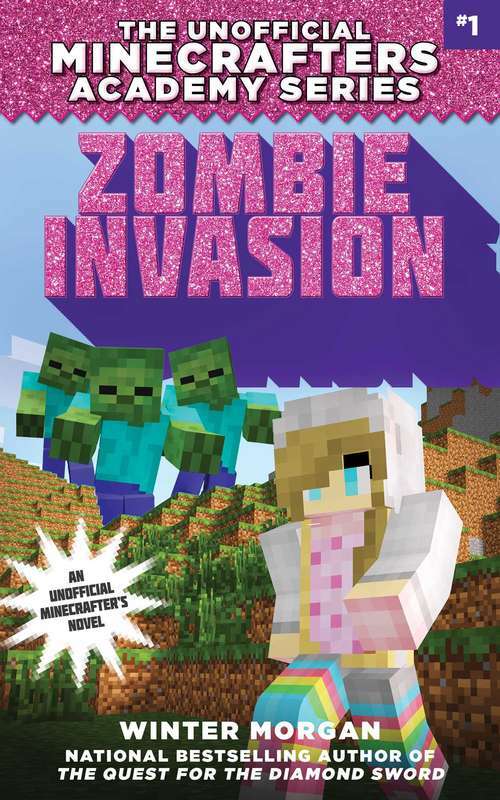 Fans of Minecraft won’t want to miss this new adventure.